Is Vinyl Siding For Me? We’re about to put our home up for sale, and are looking into options for our next home. Do we want a small house that we can fix and then rent? Um, probably none of the above. Well, maybe the closest possibility is the forever home… The truth is, we are leaning heavily toward building! My reputation as a self proclaimed remodelaholic just shattered! The truth is after remodeling the last 4 homes, at the end of the projects, I am still left with a lot of things that bother me. Be it the look of the home, or a poor existing floor plan, or the location. So I really want to see if building makes me happier…I don’t think it will be our final home, I think it will just be our first experience building. I KNOW we will learn a lot, so I don’t want to assume this will be my forever home. But staying within budget is another goal. We learned in our second home the stress of buying a home above our income. I never want to feel that stress again. We were lucky that we were able to sell it for profit, but I don’t ever want to be house poor again, now that I know what that felt like. When we are building, while we want the house to look and be fabulous, also we want it to be as budget conscious as it can be. We have some experience with different types of home cladding. We’ve had 2 homes with vinyl siding (loved), and 2 homes with brick/composite siding, with wood trim. One thing I have learned about myself is that I don’t like a lot of upkeep on the outside of the house. I want something that lasts, and that I don’t have to scrape and paint every few years, not to mention the additional cost of paint, supplies and time (or paying for labor to do that for you!). Vinyl siding does not require painting, staining or caulking, it does not chip, peel, rot, or absorb moisture, which saves time. The durability and ease of maintenance make it my kind of product! Minimal maintenance does more than save time, it saves money, I like keeping my money, not gonna lie!! With fewer materials to purchase, vinyl siding reduces the life cycle cost of maintaining the home. I love that vinyl siding only needs a quick wash down in the spring or fall and I am good. On our second home, I remember how dirty the vinyl siding was when we bought it. One quick pressure wash later and the house looked brand new, it was a great day! However, on our third home, we had some staining on the composite siding, I scrubbed for days, but the staining had absorbed into the paint, hence the stain is still there to this day (the house was painted right be fore we bought it)! How does it hold up? While light weight, today’s vinyl siding is engineered to optimum stiffness and stability to withstand winds of at least 110 mph and resist impacts and the weathering effects of heat, cold, and moisture. Certified vinyl siding will retain its great looks, guaranteed. Looks: So how does it look? Actually, I am really impressed with all the new types, textures and options in vinyl siding! I LOVE the cedar shakes version that comes in several colors, it has such great texture. My style leans toward a traditional looking home. And I love that with vinyl I can have character and charm of wood siding without maintenance worries, rotting, splitting or insect damage. Now, almost any type of trim or accessory that has been traditionally produced in wood is now available in vinyl and other low maintenance materials. Now, we just have to sell our house, find a lot to build on… and pick a floor plan! To learn about vinyl siding Raleigh for YOUR home, give our friends at Coyote Siding and Windows a call, today! 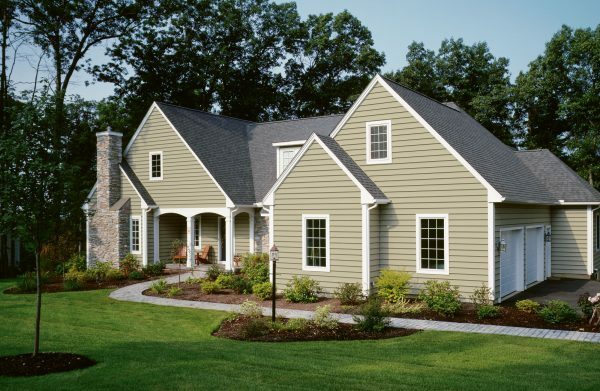 They have years of experience in providing the best vinyl siding for YOUR home. Call, today! You can spend a lot of money buying very nice and elegant facials, but remember you’ll be paying for that gorgeous bottle and packaging, the marketing and advertising, salaries and all the rest. You can take the less expensive road: make your own homemade facials. Homemade facials are a better choice to if you think about the fact that they won’t have the dozens of chemicals you’ll often see in store-bought facial products. There are many advantages to choosing to use homemade facials. You’ve got a wide variety because of the availability of many homemade facial recipes. Keep reading if you’re interested to create your own homemade facials. Homemade facials should always be created with the understanding that your skin has energy requirements like every other cell in your body. Cells in your body needs energy – this is a given you should understand. You should then realize that not all facials supply energy like this. Of course a healthy diet will serve quite well in this regard. You should use honey on your skin to this effect. It has a great way of energizing your skin in a variety of ways. The proper development of your skin cells will always happen when they have enough energy. You will also be able to have normal skin production because of this. For those in their 30s who are concerned about proper skin care, you should use those facial masks that offer certain types of fats in addition to energy and vitamins. By combining honey, yogurt, sugar and coconut oil together, you are creating quite a facial mixture. Your skin can really benefit at this age from these facials since your youthful appearance and facial integrity is starting to go away. So if you want to stave off mother nature for as long as you can, then start using the best facials. And when you reach the age of 30, and you have not done this before, you will see a significant difference once you have done your first facial. The difference in your face will be so dramatic that you will continue to use facials from that point on. Another homemade facial you can make is a facial scrub and for this, you’ll want to use milk, bananas, rolled oats, and honey. These ingredients are great for scrubbing and exfoliating the skin. Putting together this homemade facial scrub is a breeze. How much of each ingredient do you use? It’s completely up to you! Just be careful that you don’t put too much rolled oats. You want a facial scrub that isn’t too harsh on your skin. You want to get rid of the dead skin cells in a gentle manner without rubbing your skin surface raw. And when you’re using the facial scrub, scrub gently. When it comes to homemade facials, there are few remedies for your skin that are so natural and healthy. Facials have been used for thousands of years and primarily by the wealthy in society. The World Wide Web makes it possible for the average person to access this information and make these facials for themselves. To have healthy skin, for pennies on the dollar, simply make a few of these basic facials and your skin will look phenomenal. If you really want to take care of your skin the natural way, making homemade facials can be an excellent thing to try out. By knowing exactly what is going into the ingredients that are in a facial, you know you are helping your skin the right way. By doing this, only natural ingredients and nutrients will be on your skin. Lots of money will be saved when you do this the natural way. Basically, it is a win-win situation. Your face will look great, plus you will have more cash. Now let’s look at some easy ways to do homemade facials. The following tips can help you get the job done. Here’s a great video on homemade facials..
You’ll find that some homemade facials tend to require more time or ingredients compared to others. Some homemade facials have too many ingredients or too many steps so they take a long time to prepare, but if you just want a simple homemade facial that doesn’t have a long preparation time, try this recipe. You’ll need honey and heavy cream. The heavy cream will make the facial a lot more manageable. Combine small amounts of heavy cream and baking soda. Put in some honey (you decide how much), mix well, and then apply on your face and neck. Leave it for about 30 minutes. A very popular type of facial is for toning the skin. You will find many different types of facials like this that have many natural ingredients including fruit. Starch, egg whites and strawberries are a great combination to use. There is nothing hard about this since you blend them all together and put on your face. The strawberries, along with the egg whites, will tone your skin for you. You can make the facial thicker if you want by using more starch. You need to experiment a little bit to get a consistency that you are comfortable with. The toning effect is going to be great, and is well worth the trouble of mixing everything together. If you think that maybe you have passed the point where you’re comfortable and you might need just a bit more direct approach with your skin, check these people out in the Raleigh NC area – http://botoxraleigh.com – good folks and good information. There are no hard fast rules when doing homemade facials. The vast quantity of facial recipes on the Internet would not allow hard fast rules to apply. In fact, there are so many people experimenting and testing new recipes, that is probably another reason for the vast quantity of them. Because of all of this, there are so many choices to choose from which is a good thing. Along with more variety, it stimulates creative thinking and then hopefully you will come up with your own homemade facial ideas to share.